Apple unveiled the latest version of its hugely-popular iPhone last night. With double the storage capacity of its forerunner and an improved camera which can now take video, the device is aimed at heading off copycat rivals. The touchscreen phone had already transformed the mobile market with its easy web browsing and downloadable applications for everything from train timetables to spirit levels. The new 32GB model - unveiled amid much excitement in San Francisco - is capable of storing up to 7,000 songs or 40 hours of video. An application will allow users to rent or buy movies from a direct link between the phone and Apple's iTunes store. Significantly, the firm says it has extended the smartphone's battery life. Owners had complained about it draining too quickly. Parental usage controls and even a digital compass have also been added. And, if an owner loses their iPhone, they can log on to a website showing them where they left it. If the device cannot be recovered, all the personal data on it can be destroyed via a button on the same website. Among the many new applications is a navigation service from Tom-Tom, the in-car direction-finding company. It is now three megapixels rather than two and has an auto focus, bringing it into line with rival devices from Nokia, Blackberry and Palm. 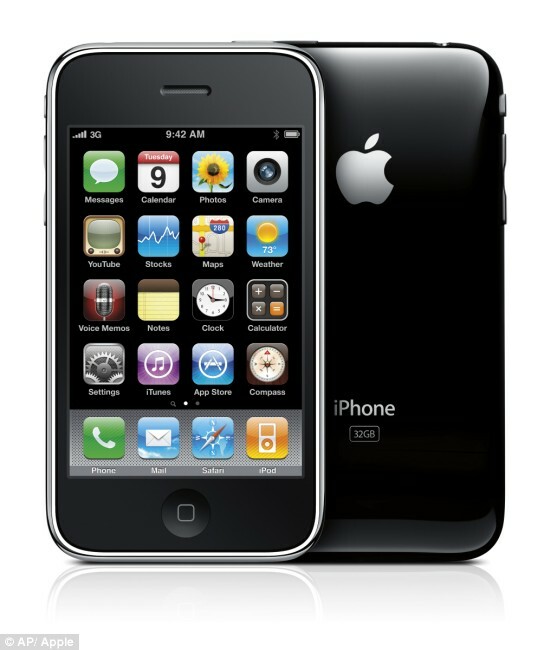 n the U.S., existing iPhone customers will be able to swap their handset for the new iPhone 3G S for free. Those with a first or second generation iPod Touch will be able to upgrade for a small fee. New customers will have to pay $199 for a 16GB version and $299 for 32GB. It will be available from June 19 in the UK, at a price not yet announced.